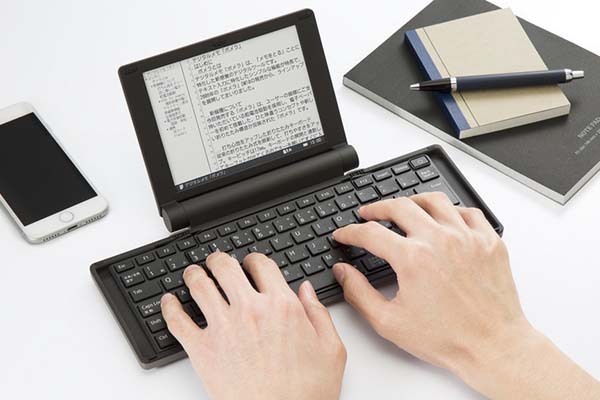 With an integrated E-ink display and compact keyboard, pomera pocket typewriter lets you enjoy a more comfortable mobile typing experience. Like the idea? Let’s continue checking. 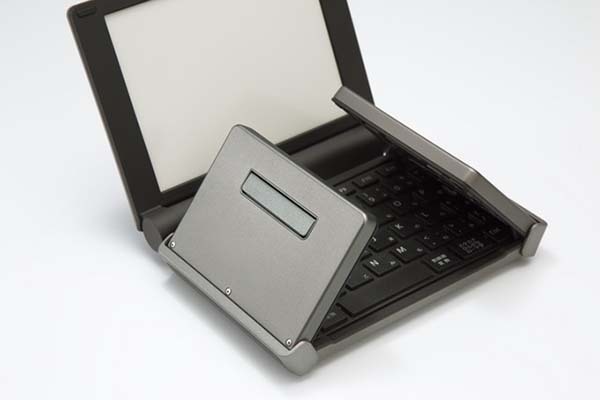 The pomera is an innovative all-in-one mobile typewriter that measures approx. 286 x 131mm and weighs approx 450g. The integrated keyboard is tri-fold. When folded up, the pomera only measures 156 x 126 x 33mm, so you can effortlessly store it in your bag for any trip. The tri-fold keyboard delivers a compact Japanese keyboard layout, and with physical keys, you will get a more comfortable and intuitive typing experience from pomera, and customizable keyboard shortcuts allow it to provide a custom fit for every user. 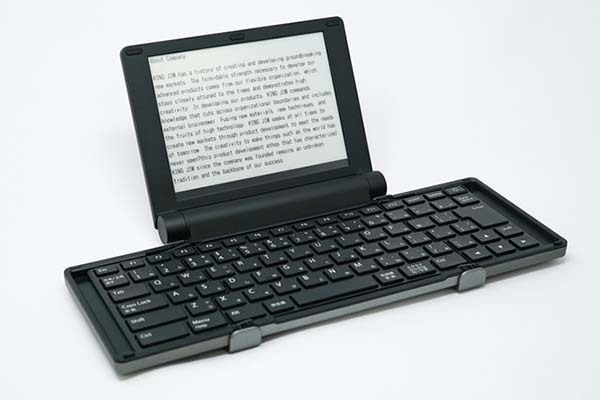 More importantly, the pocket typewriter comes equipped with a 6″ E-ink display that shows you what you’re typing, so you don’t need to connect the keyboard with any external display.